We wanted to fish outside but the Coast Guard closed the Columbia River bar to boats under 30 feet. So we fished inside with at least 400 other boats including Tony Floor’s Osprey. Fishing was as hot as the water. Kings came on board half poached especially on the ebb up near the Astoria bridge. The water cooled a bit out west near Buoy 10 on the flood but the king bite got even better. Actually the bite was good all day but great on the early flood. Anchovies were the better bait but herring worked as well. Our tackle test team from Dybeck Engineering (“no project too small or too stupid”) had success with a couple new innovations but it’s too early to ramp up the production or the bragging. Andy and Carol Holman headed back with limits from a day on the Columbia at Buoy 10. Sunday was the last day to keep unclipped Chinook on that part of the river. As ya’ll prolly heard, thar’s some catchin’ be in done down at Buoy 10, or parts there bouts on the Columbia River. The fishing is pretty epic. That warm water is keeping the fish in the lower river. Descriptions like “on fire”, and “smoking”, are probably not the best phrases to use with our state in a wildfire crisis. Thanks to all the firefighters, professional and volunteer alike. Sympathies go out to those families who lost loved ones and those who lost their homes. Hopefully we’ll get some rain, for the fish, and for the fires. I grew up in Central Washington, and it hurts to see that area devastated. Three generations of the Holman clan, grandpa Dave, dad Andy, and son Floyd with a beautiful URB. That’s what it’s all about right there. Floyd weighs the fish he caught…is it as big as dad’s? Awwww man! Dads was bigger. Hopefully Floyd will have many years of fishing ahead of him to catch up to the old man. Another nice one for the Floydster. Those Chinook are guaranteed grin producers. Submitted by Kevin Klein, Fidalgo-SanJuan Islands Chapter PSA, CCA Northsound. 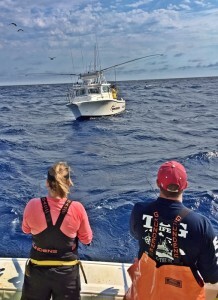 Tuna fishing has been very productive but the fish have move south and out with our trips running 50 miles each way. Look for 63 degree blue water and you will find the tuna. Do not attempt this run unless you have the proper boat. Check out my 3 part series on Tuna fishing here on Salmon University to see what you need. Pictured below is us on a bait stop with fellow SU report Mark Coleman. We are only this close together because we coordinated how to join his stop. 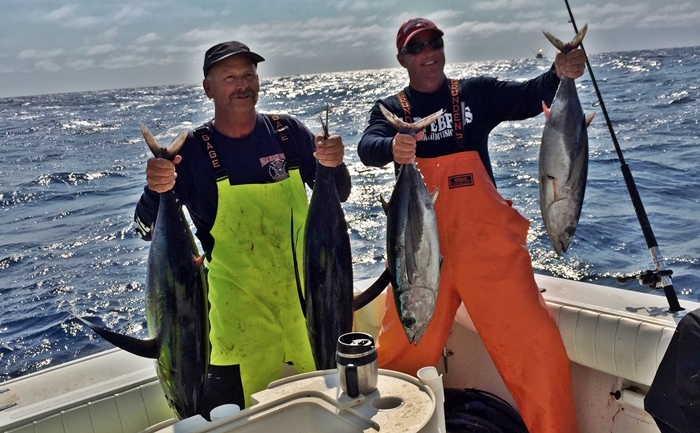 Peter and Stephen Ricks had a great father and son tuna trip. For you Salmon Smoking specialist there is a contest for you at the annual Salmon Tales festival the 26th and 27th of September. Go to the Salmon Tales website and register today. Have Fun, be Safe, and we will see you in Westport. Report by Kevin Lanier, owner of KC Sportfishing Charters 425-328-8558, President PSA Ocean Anglers, VP PSA State Board. Photos by Cyndi Lanier, Owner of Dockside Art,Gifts,and Tackle Westport Wa. 425-328-8559. The cover image of this week’s fishing reports is also courtesy Cyndi Lanier. The Washington Department of Fish and Wildlife (WDFW) has estimated “Good” prospects for Chinook and Coho in Marine Area 3 during the month of August. The Washington Department of Fish and Wildlife (WDFW) has estimated “Excellent” prospects for Pinks in Marine Area 5 during the month of August. The Washington Department of Fish and Wildlife (WDFW) has estimated “Excellent” prospects for Pinks, and Sockeye in Marine Area 6 during the month of August. Here’s the set up we use for Chinook in the Islands. I really like using Hi-vis line. So much nicer to see where it’s going when you’re trolling, or fighting a fish. I use 30lb for my main line. It’s just that much stronger, and abrasion resistant, that it may buy you a fish. Gotta love the Seahawks colors…Go Hawks! Salmon fishing is pretty good in the Islands right now. Kings are moving through, you just have to be at the right place/right time to land on them. I’ve heard of some Coho caught, including a nice 11lb clipped keeper. And, of course, as many pinks as you would like to catch, up to the limit, for you and the family. They make perfect table fare for the in laws. Submitted by Kevin Klein, Fidalgo-SanJuan Islands Chapter PSA, CCA Northsound. 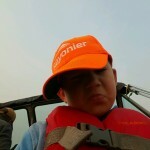 The cover image of this week’s fishing reports was also submitted by Kevin. “It is SIZZLING SILVER time!” Kathy announced as we directed the FISHTALE 2 out of Everett. The slippery rockets have just started to enter Area 9 over the past week withgood reports from Lagoon to Kingston. No freight train flyers yet, but these fish put on pounds every week so start practicing for that 15 pound acrobatic ace. We are using Ace Hi’s and the Mini-Ace Hi’s in both white and green. Put a “trailing” hook out the back for the short biters. This Saturday is all about SALMON for SOLDIERS. Here is a special shout out to all of our boat captains, crew, and volunteers. We all embrace and thank our current and veteran military men and women and will be flying the flags of FREEDOM high all over Puget Sound this Saturday and for years to come. See you on the water ! While salmon fishing seems to get all the attention this time of year, sometimes you need to change things up. One species often overlooked are Surfperch. You don’t have to drive all the way to the Washington Coast to find these fish. In the Puget Sound we have a beautiful yet tropical looking species called the Striped Surf Perch. 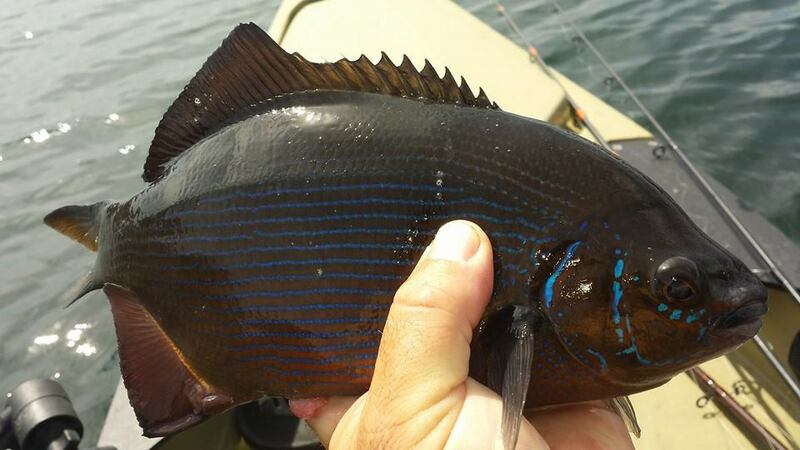 Blue and black stripes decorate the sides of these in shore fish. You’ll find them hanging around rocky structure near marinas and near shore. On clear calm days, you can look down and see schools of them swimming around. Yesterday I worked the rocky bottom in 10 to 20 feet of water with a drop shot bass fishing set up. I tore off the end of a Gulp Blood Worm and used that for bait. The fish couldn’t get enough of it. I’ve also had luck with a piece of mussel or clam neck. While these fish make excellent table fare, it’s equally as fun to release them after a hard fight on light tackle. Will we ever get enough Pink Salmon action? I don’t think so. I’ve been fishing Shilshole between Meadow Point and Carkeek Park from my kayak over the past couple of weeks. Most days, I can limit pretty quickly. While trolling can be effective, I have chosen to toss a pink hoochie jig with a light weight bass rod. The action is far superior to reeling in flashers, banana weights on a stiff rod. Even though you don’t see fish always jumping, there are quite a few up top. Even blind casts with a couple of twitches produce fish. I even landed a 6 lb coho that was right up top feeding in school of bait. Have fun out there as it won’t last much longer. There have been some immature Chinook being caught near the Clay Banks and Pt. Dalco ranging in size from about 4lbs. to 8lbs. Coho are moving into the area as well and I have seen the catch numbers increasing daily these fish have been running about 4lbs. to 8lbs. Pinks, I have had reports of these fish being caught all over the place there are good numbers here right now. 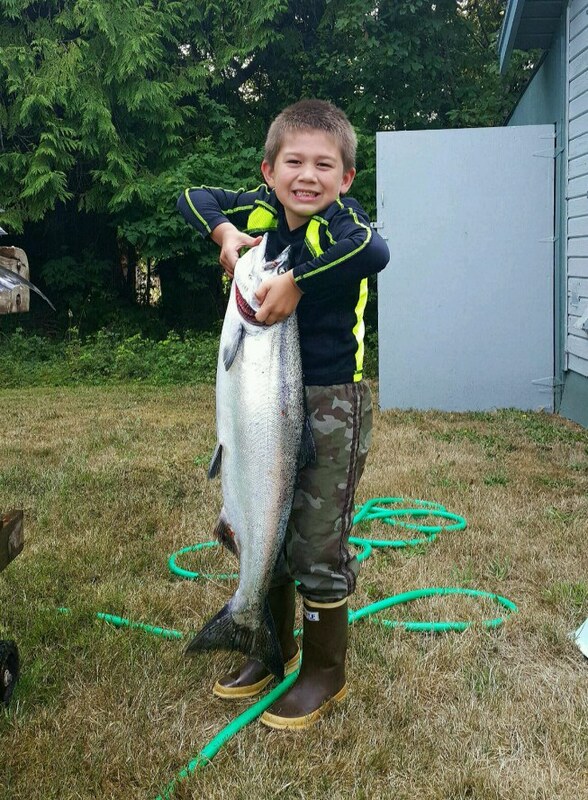 Monthly classes are offered to youth and for adults to prepare you to better take advantage of the fishing at Point Defiance and the local lakes and rivers. Learn knot tying, tackle, rods and reels, rigging techniques, regulations, and safety. September 5, 2015 from 10 am to 12 noon. Call 253-591-5325 to learn more about these classes. Jeff’s picture of the retardant drop on his neighborhood that saved the day! Our mid-summer pattern of trolling for Lake Trout on Chelan early in the morning on the Bar with a sprinkling of big fish continues hot. Also continuing hot is trolling the face of Manson Bay in the evenings for numbers of Lake Chelan Lakers. The big news of course is the group of wildfires that are burning in our area. 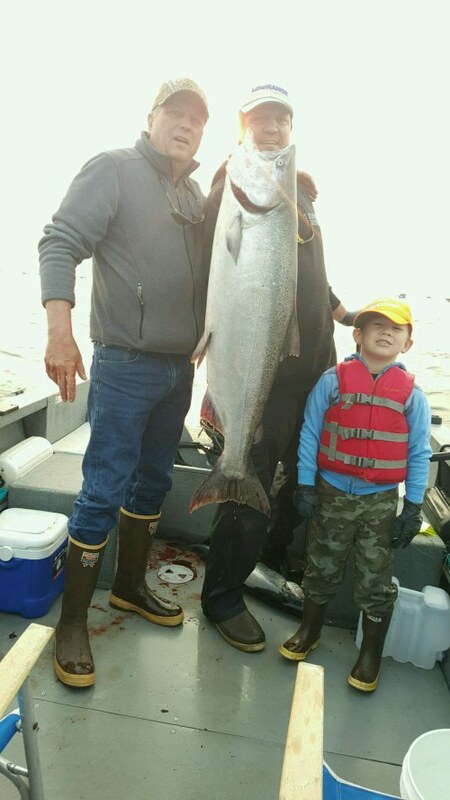 Neighbor Carl Davis with his grandson and Mr. Lesmeister with an epic morning catch of Mackinaw from Lake Chelan. On the Bar, look for depths from 118 to 150 feet deep. That lower hump is covered with fish during the first hour of light. Evenings are best in Manson Bay in depths of 110 feet near Wapato Point and up to 270 feet deep in the center of the bay. As always, fish within 3 to 5 feet of the bottom and keep your speed from 1.1 to 1.4 mph. Jeff’s drift rig in green has worked quite well. Similar in profile, the Needlefish squid rig by Silver Horde / Goldstar has also worked. Bait these rigs with a chunk of Northern Pikeminnow. I am going to dispense with our normal format since the big news has been the devastation created by the fires in our area. The first thing that I want to say is a heartfelt THANK YOU from the Darrell & Dad’s family to all the people that have fished with us during August. 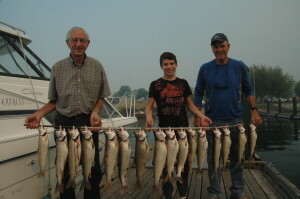 In spite of the increasing smoke in the valley from Wolverine fire at the beginning of the month through the Chelan Complex Fire disaster last Friday, they kept coming and fishing with us. Like loads of people in the Chelan Valley, we are dependent on summer business to keep us afloat during the remainder of the year. Again, thank you. Last Friday morning at about 5AM while I was waiting for customers and discussing which way the lightning was going with Jay Witherbee of KOZI the Butte, First Creek and Emerson Acres took direct lightning strikes that immediately ignited fires. Jeff & I waited out the lightning at the dock with our customers and fished the morning with them. That evening as the wind came up and shifted repeatedly the First Creek and the Butte fires ran wild. The Butte fire made a run at Chelan. Jeff stayed with his house getting bombed by retardant from a DC-10 at the critical moment to save his house and neighborhood. Sandy and I watched horrified in the dark as houses uplake from Watson’s burned to the ground. We lost all power, cell phone reception and then the local radio station was knocked off the air. With no info available, and smoke around we prepped to evacuate and got our RV generator in operation to keep our freezers running. By Sunday morning the PUD had power restored, Frontier had our internet connection up and AT&T restored cell phone coverage. 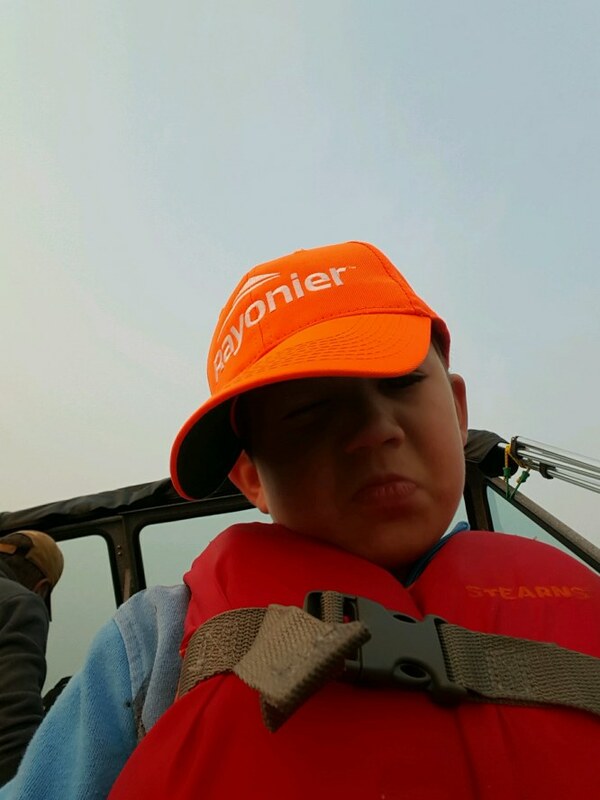 The weekend trips had to be cancelled, but uniformly after that the customers came and fished. Some mornings were more smoky than others. If you have respiratory problems wear a mask that is rated to filter smoke. They are available here in Manson at the Red Apple Market and at a variety of other locations throughout the valley. The most devastating blow came later in the week as three firefighters were killed by the fire in the Methow Valley near Twisp. We are humbled by their sacrifice and pray for comfort to the friends and family. Along with all the merchants in the Chelan Valley we are hopeful that the worst is behind us and we will proceed in a manner to try to normalize business. We have received many calls, texts, emails and Facebook messages filled with prayers, well wishes and other forms of empathy. 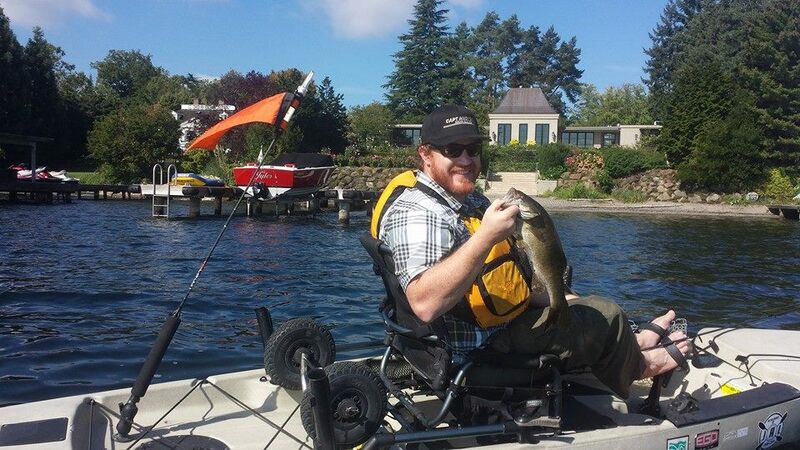 On Wednesday I took out a client on Lake Sammamish to target smallmouth and largemouth bass. It was cloudy, cool and overcast. We got a few smaller largemouth to roll on our topwater gear near the lily pads but couldn’t get any solid takes. We worked docks around the Northwest side of the lake and got into a few nice smallmouth. The smallies seem to be moving deeper into 18 to 25 feet of water. There’s also a fair number of perch schooled up as well. Dropshot snub worms and jigs produced the most fish. We also marked quite a few cutthroat up top and saw a few jump. Next time I’ll bring along my trolling gear. You can definitely tell that Spring is in the air with these cooler temperatures we’ve been having in the morning. I met up with a client on Lake Washington who wanted to learn more about fishing bass from a kayak. We hit the lake at 7am working docks and drop offs around the lake. Light spinning gear with drop shot snub worms and jigs were the ticket. 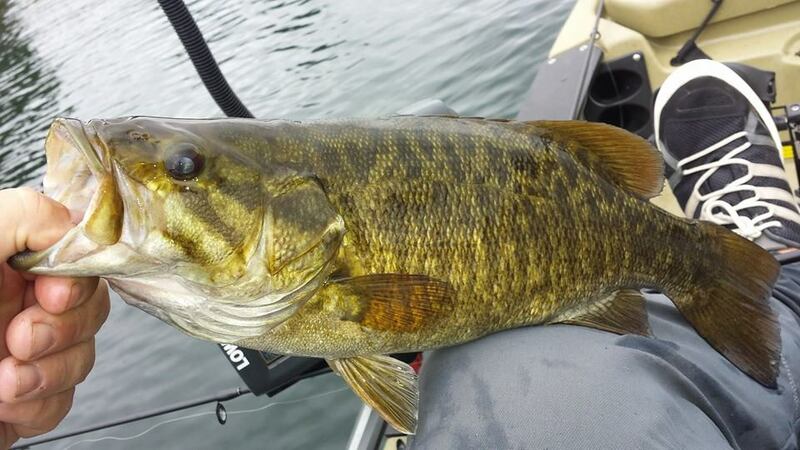 We landed several smallmouth bass in the 2 to 3.5 lb range. Several fish were puking up half digested perch which makes sense with the bass moving into deeper, oxygenated water this time of year. My client even reeled in a small perch only to have a smallmouth chase it up from the bottom trying to swallow it at the surface. It stuck around for a couple minutes before retreating back to the bottom. I look outside and it looks like I am looking into a fog bank. We have been socked with smoke from surrounding areas but nothing close. It looks to be better in the next few days. Fishing can be very good. One of my neighbors was out fishing for Walleye today and came in with 2 limits trolling worm harnesses off the face of the sand dunes. My son Matt was over for a couples of days this week and we did venture up into the dunes. With the level of the lake it is getting harder to get into the dunes area. We did get up past the high dunes about 1/2 mile to find moving water. What a honey hole we did find. After 40 plus largemouth, 3 smallmouth and some blue gill. We moved out to another know spot of mine to find the water was high enough to cover the spot. We did manage 5 quality largemouth. We had a slug trail to follow and we followed it slowly as to not run aground. We did see 4 large deer in the dunes, 2 of which were quality bucks. Next day too much wind to get where we wanted. Linda and I went back into the dunes at a very slow pace and seen many Pelicans, beaver and even a coyote as we went back to the same spot. Water had dropped another 12″ and it was hard to keep in the slug trail. Fishing slowed down as the water where we had fished 2 days before had also dropped. 15 largemouth later I saw the water was still dropping in the time we were there and started out. A push pole helped we to navigate out after several groundings. Just inside of the face of the dunes that second spot did uncover and we caught several more quality Largemouth. As the smoke from the fires get over for next 2 months of the year for some very good fishing. Salmon fishing in the Alberni Inlet, Barkley Sound, and offshore Ucluelet has been very good over the past several days. Migratory salmon headed to the big watersheds to the south continue to fill the many popular banks in offshore areas. Chinook and Coho are beginning to migrate into local West Coast Vancouver Island regions as they wait to enter their natal streams and rivers. There has been some fabulous sport salmon fishing this summer. 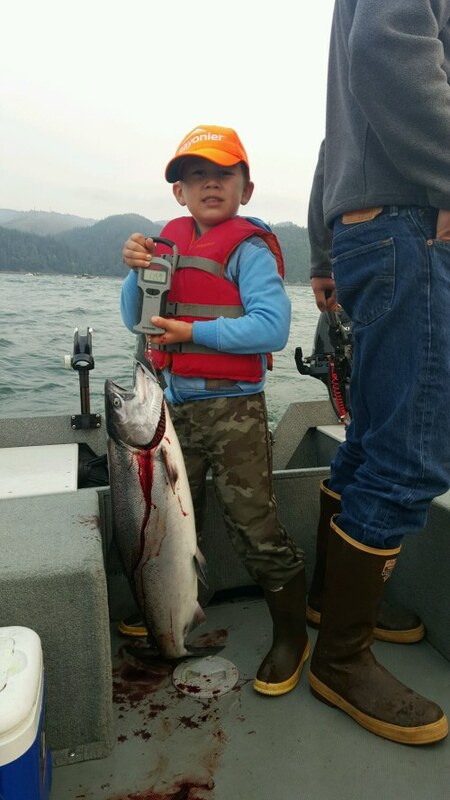 Sockeye salmon fishing in the Alberni Inlet began in late May and continued well into August. The Inlet now has a tremendous number of returning Somass Chinook and Coho. Barkley Sound also has had some great salmon sport fishing in many areas. The West Coast of Vancouver Island continues to be very warm and dry. With the return of big numbers of Chinook, Sockeye, and Coho too many creeks, streams, and rivers in the Pacific Rim there is a need for some much needed precipitation. Sockeye returns to the Somass River System are very close to a record two million pieces return. Approximately three hundred and seventy-five thousand have returned to two local lakes where the Sockeye will sit until the rains occur in the fall and fill local streams and creeks where these valuable salmon will naturally spawn. Large numbers of Chinook and Coho are now migrating through Barkley Sound and into the Alberni Inlet where a fantastic Sport fishery is occurring. Barkley Sound hotspot sport fishing areas such as Swale Rock, Pill Point and the Bamfield Wall have been excellent as the salmon make their way on their long migration. For almost ten days many sport salmon fishermen have enjoyed some very good Chinook salmon fishing in the Alberni Inlet. The return of Chinook to the Somass River system is predominately three year olds. With this in mind the current rule in the Alberni Inlet and all of Barkley Sound is that Chinook salmon must be 77 cm or less to be retained. This means that Chinook salmon weighing approximately fifteen pounds or under can be landed and tagged on fishing licenses. Many of the Chinook in the system are coming in at this weight and obviously must be measured by sport fisher persons. The daily retention of Chinook is two and the daily retention of Coho salmon remains at four. Possession per day per individual is four salmon no matter what the species. 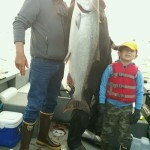 The Alberni Inlet sport Chinook fishing has been very good for over a week . Currently there is good numbers of Chinook from Coulson Mill out to Dunsmuir Point. There has also been some great fishing in Underwood, The Narrows and Bells Bay. 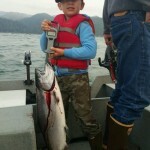 Coho salmon are now also coming into the mix and should begin to show in bigger numbers as we get closer to September. The Chinook are not sitting in deep water. Those sport fisher persons having some great success have been landing salmon sitting in thirty-five to fifty feet of water. The salmon are hitting the usual O-15 and 16 hootchies plus the mp 15, 2, and 16 lures. The AORL 12, dark green spatterback, and army truck are also working for some. Those using anchovy seem to be having the best success. Rhys Davis Teaser Heads in glow army truck, green haze and purple haze are working very well. The Chinook to this date have been very bright and fresh and are responding to leader lengths up to six feet behind glow chartreuse and green hotspot flashers. Coho are also hitting anchovy and also a variety of bright hootchies and spoons. The salmon fishing in Barkley Sound for Chinook under 77cm’s and Coho has been quite consistent. Many of these salmon will make their way into Alberni Inlet waters which will thrive on some continued good fishing opportunities into September. The hotspots in Barkley Sound have been the Bamfield Wall, Wittlestone, Swale Rock, and Pill Point. Most of the salmon in these areas are returning to Pacific Rim Rivers and streams and are not in deep water. A variety of hootchies and spoons have been working but anchovy again seems to create the best success for sport fisher persons. The green haze, bloody nose, and army truck Rhys Davis Teaser heads are working very well. The salmon also seem to be holding in those areas that have bait fish in good numbers. The Coho are still putting on a pound a week and will actively feed throughout the day. Finding bait in the sound is often essential. With the many creeks, streams and rivers found in Barkley Sound and with the lack of water in these vital waterways the salmon will sit in Barkley sound actively feeding until the waterways fill with water. Kathryn Ramsay caught her first spring salmon Sunday at Church Rock on an anchovy. Here she is holding the 24 lb Chinook. Salmon fishing was GOOD in East Sooke. There are a lot less pink salmon being caught and you had to work harder for them. The best pink fishing has been on the flood tide in the tide rips and tide lines out in the strait. The spring salmon fishing has picked up. The Trap shack area was good to anglers on over the week. 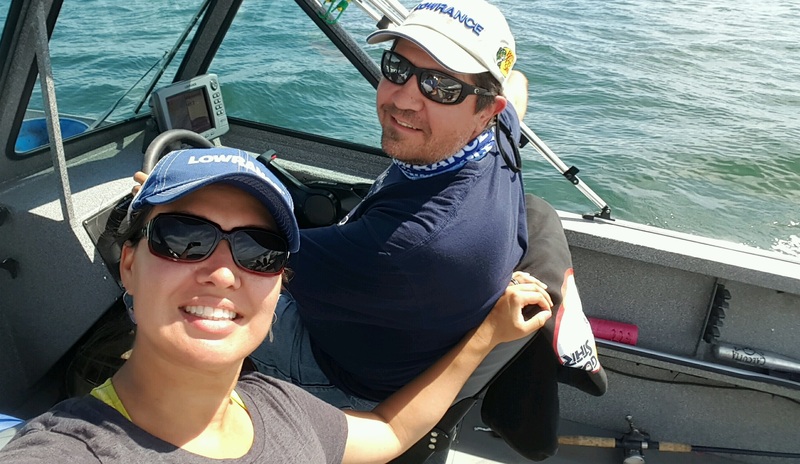 The best fishing there has been in tight to shore in 100 feet of water or less and between 40 – 70 feet on the downrigger. Most springs were running from 10 to 20 lbs in size with the occasional 20+ lber being caught. Anchovies were the most productive bait for the springs and No Bananas and Halloween Candy were productive teaser heads. However, spoons and plastic baits have been popular due to anglers switching to artificial baits because of the amount of bait needed to weed through all of the pinks! The Glow/Green Stripe hootchy has been effective for springs this past week. Spoons, such as the G-Force and Skinny G, in the Bon Chovy or Irish Cream colours were effective. For flashers, the Lemon Lime, Super Betsey and the Purple Onion have been good. Cheanuh Marina held their annual salmon derby this past weekend. First place went to Al Zaalberg for a 27.4 lb spring. Second place went to Shirley Lambrecht for a 24.4 lb spring. Third place went to John McHale with a 23.2 lb spring. There were 107 springs weighed in and 198 tickets sold for the derby. Here Brandon Djordjevich and Josh St. Gelais and Sean Gillis hold up a 133 cm, 75lb Halibut caught in Haro Strait using fresh salmon bellies in 175 feet of water. The fish was hooked and Landed by Josh St. Gelais of Victoria. Salmon fishing was SLOW this past week. There were some springs caught but it was spotty most of the time. Most salmon were caught when fishing with lures right on the bottom (60-110 ft) on the Flats and by the Gap. The fish were hitting needlefish spoon and squirts. Anglers also caught fish jigging right on the bottom. G-force and Skinny G spoons in No Bananas and Outfitter colours worked just fine. Coho Killers in Gold Nugget and Green Splatterback have been pretty productive too. The best flasher has been the Gibbs Lemon Lime and the Bon Chovy. Halibut fishing was GOOD this past weekend out in Haro Strait and off Discovery Island. Josh St. Gelais caught a 133 cm, 75lb Halibut in Haro Strait using fresh salmon bellies in 175 feet of water. Anglers that have been fishing are using mackerel, extra large herring, salmon bellies and/or octopus for bait. Berkley Gulp and Powerbait soft plastics also work very well. You can also use a large spoon fished off a spreader bar, Mudraker or Lucky Jigs or other large Jigs if you want to stay away from the dogfish. Salmon fishing was GOOD this week. 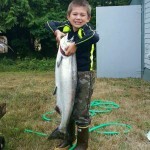 Pink salmon, some nice springs, a few hatchery coho and some catch and release wild coho and one 10 lb chum salmon were reported by Pedder Bay Marina. There were quite a few springs in the area, but no area was a real hot spot. All of the pink salmon has kept the rental boat fleet very busy and there are usually waits at peak times. Most of the pink action is now coming from out near the shipping lanes as the run is definitely slowing down, causing spotty fishing. 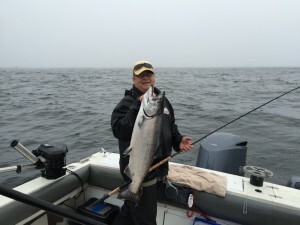 A 37 lb spring was caught trolling at 50’ on the Pedder Bay side of Bentinck Island. Kathryn Ramsay caught her first spring salmon, a 34 lb fish, at Church Rock on an anchovy. Most of the springs caught have been at that 50-55 foot depth. 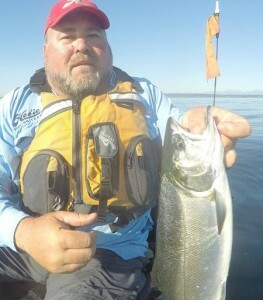 Anglers jigging in the bay were also catching springs using the 8 oz and 6 oz Gibbs/Delta Jumbo Anchovy jigging lure. 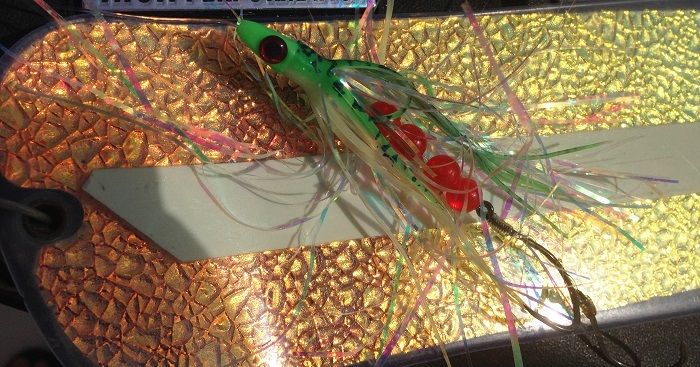 Anchovy was the most productive bait when trolling for springs with Glow Green and Bloody Nose being top choices in teaser heads Spoons, such as the G-Force and Skinny G, in the Bon Chovy or Irish Cream colours were effective Flashers that remain popular include Super Betsey, Lemon-Lime and Purple Onion. Halibut fishing was GOOD this past week. Meredith Hope, of Texas, caught a 66 lb 131cm halibut on a Greenling head tipped with a fresh salmon belly in 285 feet of water in front of Pedder Bay. Anglers that were fishing were using mackerel, extra large herring, salmon bellies and/or octopus for bait. Berkley Gulp and Powerbait soft plastics also work very well. You can also use a large spoon fished off a spreader bar, Mudraker or Lucky Jigs or other large Jigs if you want to stay away from the dogfish. Salmon fishing was PRETTY GOOD near Pender Island The pink salmon have been close to Pender Bluffs and most boats are getting fish there.. The springs are also showing up there in good numbers and they have been hitting Electric Chair hootchies trolled between 50 – 60 feet on the downrigger. Many anglers are fishing using anchovies in Bloody Nose and UV Green teaser heads. Squirts have been out-producing hootchies and the hot patterns for springs now are Orange/Black/White, Purple Haze and Electric Chair. Coho Killer spoons have also been working well, especially in double glow and Gold Nugget. The salmon fishing was GOOD this past week. The pink salmon are still here and even though there were fewer of them this past week, if you worked for them you could get some. The springs were more abundant than the pinks and good catches came from all areas. Most of the springs were weighing between 10 to 20 lbs, but there were a few in the twenties and some in the 30+ size. The bigger springs are being caught in the 35 – 60 ft depths. Some hatchery and wild coho are also being caught, mostly out in the shipping lanes. Sockeye and wild coho still have o be released. Anchovies are the number one choice of bait for Sooke anglers. Teaser heads that have been performing well with anchovies and herring are Chartreuse, Green Glow Bloody Nose and Purple Haze. G-Force spoons in Outfitters, Irish Cream and No Bananas have been catching their fair number of fish. Coho Killers have been quite effective in catching pinks. The most popular flashers recently have been the Ok’i Betsey, the Gibbs Outfitter and the Madi. The fishing out on the offshore banks has been very good all summer. The late summer run of Chinook and Coho headed to the Sacremento and Columbia River systems continues. In the mix is also Chinook and Coho Salmon headed to the Fraser, Vedder and Harrison Rivers. South Bank areas and the Big Bank have had some great fishing opportunities. The Chinook are deeper and have been sitting from eighty feet to the bottom or sand. Coho salmon are much shallower. Five and six inch spoons and plugs with or without flashers have been working very well. The mini green spatter back and white glow mini turd have also been fantastic for both Chinook and Coho salmon. The fishing offshore often continues well into September as salmon continue their long migratory journey. Fishing for springs was FAIR, both at Constance Bank and along the waterfront. It was slower than last week and not as many springs were caught by anglers. The springs were spread out from Harling Point to Albert Head, depending on the tide, and there were some pink salmon mixed in with the springs. Out at Constance Bank there were more pinks and feeder springs. Most of the springs were in the teens, but there were a couple over 20 lbs landed. .Anchovies, spoons and squirts were successful in getting hook ups. Good choices in plastic baits are the Electric Chair, Purple Haze and pink squirts. Gibbs Coho Killers, Ap Sandlance Spoon and Coyote spoons in green, moon glow and silver colours have been very effective. The Lemon Lime flasher has been very effective recently. The Glow Green Splatter Back Coho Killer has been a very effective out on the bank. 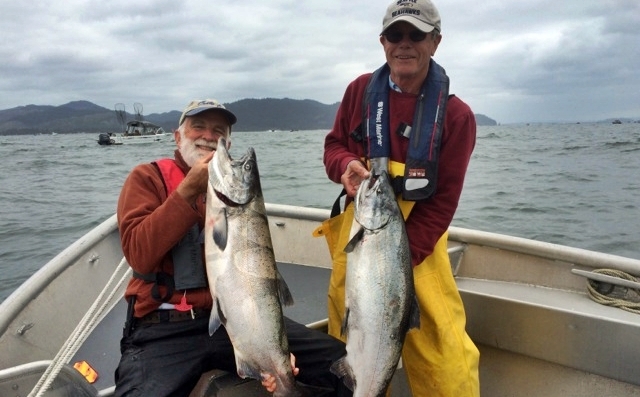 The Esquimalt Anglers Association held their Annual Salmon derby this past Sunday. First place went to Be Tran for a 20.0 lb spring. Rick Carson came in second with a 17 lb 15 oz spring. Third place went to IAIN MacLeod for a 17lb 14 oz spring. There were 43 springs weighed in and 83 boats fishing in the derby. Halibut fishing was GOOD this past weekend. Anglers report that the dogfish were less of a problem this past week. Most anglers that were fishing were using mackerel, extra large herring, salmon bellies and/or octopus for bait. Berkley Gulp and Powerbait soft plastics also work very well. You can also use a large spoon fished off a spreader bar, Mudraker or Lucky Jigs or other large Jigs if you want to stay away from the dogfish. Fishing is GOOD on most lakes as the water temperatures climb. Wild rainbows and cutthroats over 50 cm must be released in Cowichan Lake. The Oregon Department of Fish and Wildlife (ODFW) reports that Spring Chinook fishing closed July 31 for transition to the fall season August 1. Expect slow fishing until later in August. Trolling herring or large bladed spinners are the two most popular techniques. Get this, and all Salmon University updates,via email. Salmon University is the top online resource for fishing in the Pacific Northwest. Follow us on Twitter @salmonuniv for the latest news and other updates.